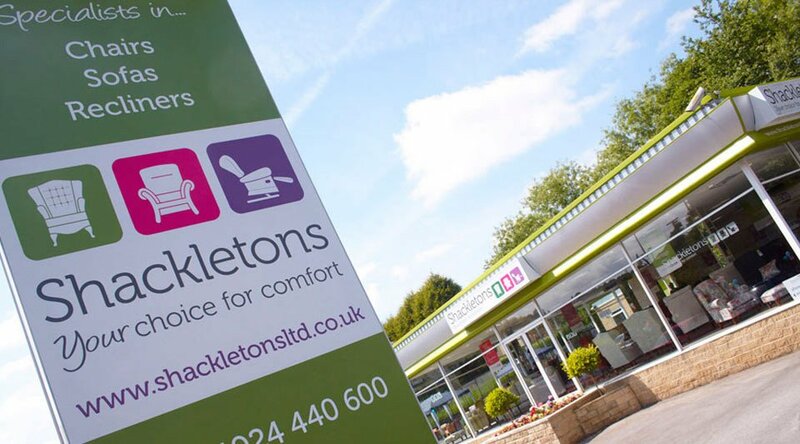 Shackletons’ handmade furniture is all about comfort, mobility, safety and enjoyment. Our philosophy is that everybody who uses it is special and deserves to sit comfortably. The 70 highly-skilled craftspeople and support staff at Shackletons’ Yorkshire factory are all dedicated to achieving this, it’s all about efficiency, precision and hitting the right timings every step of the way. Customer-focused and design-led, almost every production phase is hand-made. By handcrafting each item, Shackletons furniture balances support and softness for true comfort. It is something that mass-produced techniques may achieve sometimes but never consistently. They are no substitute for the ability and dedication of a master craftsperson drawing on decades of experience. Naturally, the highest quality products also demand the highest quality, materials – brought to us by a network of tried-and-trusted suppliers. Beech hardwood, the choice of every traditional, premium manufacturer, is used for all frames. It partners top-notch fabrics, components and finishes to create stylish, durable, ‘legacy furniture’ – born from generations of experience and guaranteed to last generations more. At Shackletons, we made our name with our famous “high seat chair”. Whilst we still manufacture many of our most celebrated designs, we have added further products to the range, which has grown into three distinct quality collections. With such a long manufacturing heritage, we have developed all the craftsmanship and skills necessary to produce furniture of the highest quality with unbeatable levels of comfort. We believe that everyone who uses our chairs deserves to sit comfortably and that we have the perfect one for you.